Weddings are always fun, but having family around cuts into sketching time. 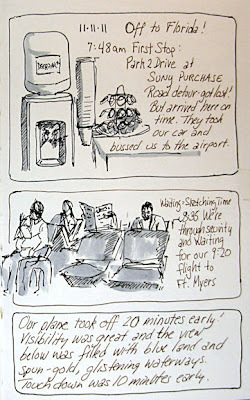 lol Glad you got to do a few travel sketches...wait, no sketch done on the plane??? Weddings and other family times do cut into sketching time don't they. But you did get a couple good ones. 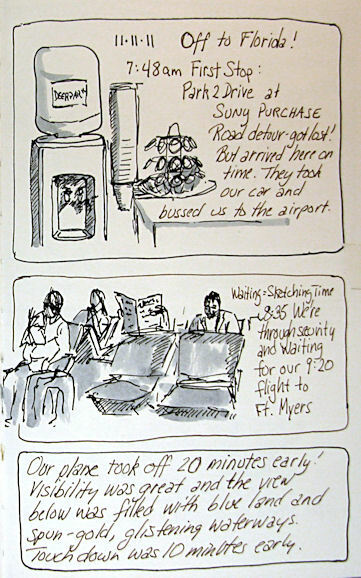 Airport sketching is fun because there are so many choices -- if there is time.